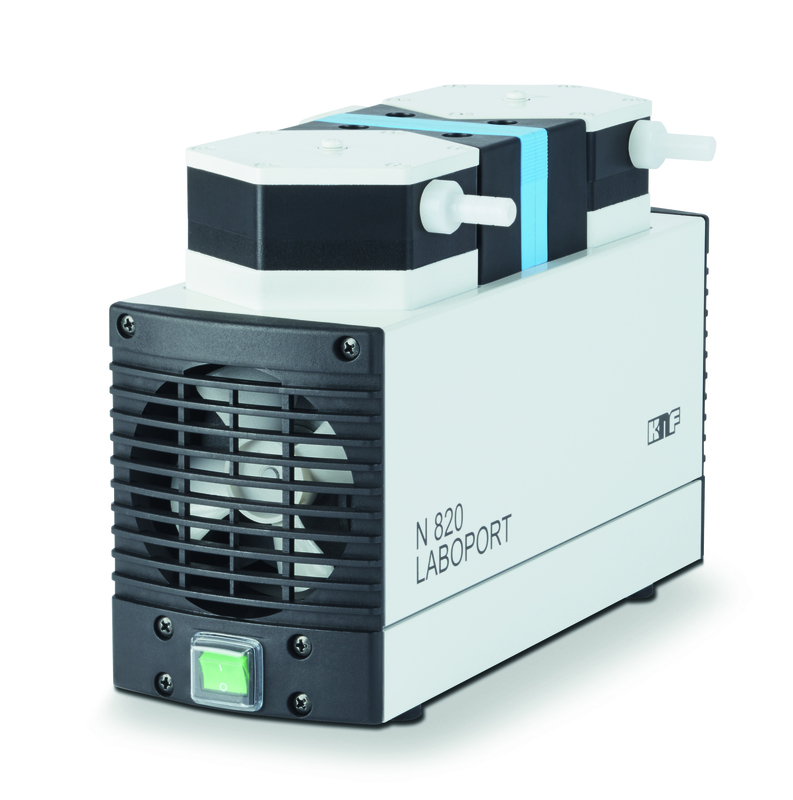 Series N 820.3 diaphragm pumps are double-head, dry-running devices used in a wide range of laboratory applications.They transfer and pump down without contamination. The heart of these very compact pumps is a KNF structured diaphragm. This patented diaphragm was stress-optimized using the Finite Elements method. As a result, we were able to make the pumps smaller while increasing the service life of the diaphragm. Gastight, leakage rate approx. 6 x 10-3 mbar x l/s,not tested in serial production.